Loneliness is reaching epidemic proportions in our society, reflected by rising suicide rates and increased mental illness. Now, more than ever we need to find a way to connect. Loneliness, is a feeling of separation or isolation, it is not necessarily the same as the physical state of being alone. 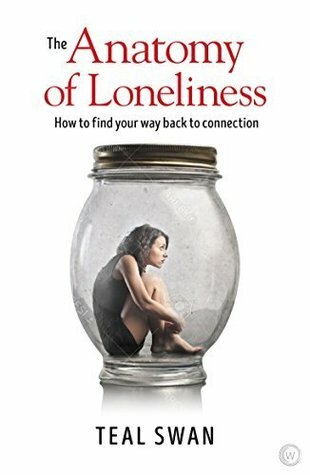 This book is for people who suffer from loneliness, the kind that cannot be solved by simply being around other people. Their aloneness is a deeply embedded pattern that is both negative and painful; it is often fueled by trauma, loss, addiction, grief and a lack of self-esteem and insecurity. Teal Swan has a huge and dedicated fan base; she rose to fame through her YouTube Ask Teal series which now has over 400,000 subscribers and 50 million views. She also has over 250,000 followers on Facebook and over 56,000 on Instagram. Teal Swan was born in Santa Fe, New Mexico with a range of extrasensory abilities, including clairvoyance, clairsentience, and clairaudience. She is a survivor of severe childhood abuse. Today she uses her extrasensory gifts as well as her own harrowing life experience to inspire millions of people towards authenticity, freedom and joy. Her worldwide success as a modern spiritual leader has earned her the nickname “The Spiritual Catalyst.” She is the bestselling author of three books; The Sculptor in the Sky, Shadows Before Dawn and The Completion Process. Cassandra's Review- A great tool for mental health and a way to clear your head of some possible really bad things in life. I feel like the lost and sad people of the world can find a light in the chapters and that the author shares so much wisdom in just a few short hours of reading. You can tell this is a person who wants the best for you and wants you to change your mindframe to be able to love yourself and find peace. It is more than just a word of encouragement book because you work on the topics yourself at your own pace and you can build a great happiness in your spirit.